This thrilling novel tells the story of an expedition by three Englishmen into the Brazilian jungle; a journey which turns into an obsessive quest for the truth behind a missionary's disappearance 17 years earlier. The three men are each linked in different ways to the same woman in England, and her presence overshadows the whole narrative. At the centre of the expedition is Harry Johnson, the son of the missing missionary-a solitary explorer-hero who is obsessed by the woman, Lucy. Charles Wright, the leader of the expedition, is Lucy's step-father, and Gilbert Phillips, the journalist accompanying the party, was once her lover. 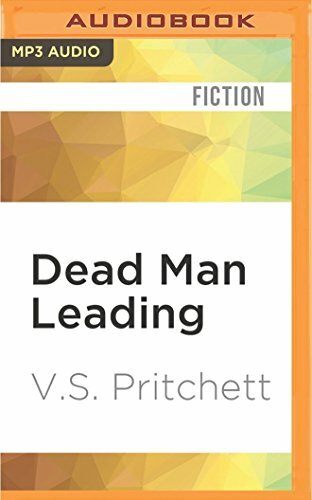 In Dead Man Leading, a novel of rivalries and intense emotion set in a remote and exotic landscape, V. S. Pritchett examines the obscure motivation behind the explorer's passion for solitude and hardship and his flight from 'normal' life. About: This thrilling novel tells the story of an expedition by three Englishmen into the Brazilian jungle; a journey which turns into an obsessive quest for the truth behind a missionary's disappearance 17 years earlier.